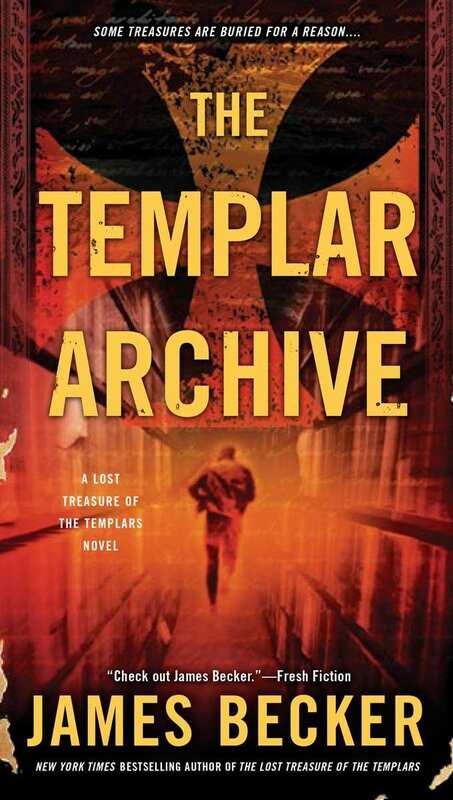 READ The Templar Archive FREE online full book. Signet Select and the Signet Select colophon are registered trademarks of Penguin Random House LLC. The man who’d spoken was standing with a group of his fellow knights near the center of a large open area of flat land, the site they’d chosen for their overnight camp. All around them, snowcapped mountain peaks contrasted with the pale blue of the sky, a low bank of clouds to the west threatening more snow later. The clear blue waters of Lake Ägeri shimmered just a short distance away from the edge of the camp. with the device repeated on his shield. These were essential means of identification in the confusion of a battlefield, where each man’s face would be hidden inside his enclosed helmet. They were waiting for the orders from the leader of the army, Leopold of Austria, to mount their warhorses and ride as the vanguard of a force of more than ten thousand well-trained men-at-arms. Their task, on behalf of Frederick of Habsburg, Duke of Austria and Styria and King of Germany, was to smash their way through any opposition and by doing so open up the most direct route through the mountainous terrain in front of them and then drive on into Italy and seize this strategic swath of territory for the Habsburgs. There was not the slightest possibility that his experienced, well-armed, and properly equipped fighting men could fail to prevail over the ragtag opposition that the fledgling confederates of Schwyz and Uri had apparently managed to assemble, and Leopold knew it. But even then, he had taken no chances. The operation had been planned as a surprise attack, with his army advancing from the south past Lake Ägeri and then on through the Morgarten Pass, and he had expected nothing less than a total victory. The ace he was playing was that the obvious approach for his army to take had been from the west, passing near the village of Arth, where his spies had confirmed that the confederates of Unterwalden had already erected fortifications and had dug themselves in to prepare for the expected battle. south, effectively splitting the opposition forces. By the time the confederates of Unterwalden finally realized they had been outmaneuvered, it would be too late for them to regroup. Leopold’s army would first destroy the men from the Schwyz and Uri confederates, then move on to mop up the confederate of Unterwalden. Their opposition was, as the knight had just stated, a hastily assembled force of perhaps a thousand men, not militarily trained, and equipped with the simplest and most basic of weapons, and Leopold’s men knew it. And that, perhaps strangely, was the reason for their disquiet. In an age where chivalry and the responsibilities of knighthood were taken very seriously, many of the men listening to him shared exactly the same sentiments. Sending a mounted and armored knight into battle against ordinary foot soldiers was not considered simply unsporting, but actually disgraceful conduct and entirely unworthy of a member of the warrior class. into the center of the encampment. The brief written communication had simply explained that Leopold’s forces would be traveling through the Morgarten Pass the following day and advised the peasants that their best option would be to return home, put their primitive weapons aside, and not attempt to interfere with their passage. There were more chuckles from the other armed knights. He pointed to the center of the encampment, where Leopold and his most senior advisers were now clearly ready to leave. Within twenty minutes, the entire army, appearing massive and unwieldy when scattered around the makeshift camp they’d occupied overnight, had metamorphosed into an organized fighting force, formed up into regular lines and columns, and begun a steady advance toward the shores of Lake Ägeri. The knights, mounted on their heavily armored warhorses, led the way at a sedate walk, maintaining a slow but steady pace that the foot soldiers could easily match. Placing the knights at the head of the column was a deliberate tactic. They were essentially the heavy armor of medieval combat, virtually invulnerable in most battle situations, and the presence of such a large mounted force would almost guarantee, at least in Leopold’s opinion, that the army would be able to continue its advance unmolested. Taking on a single knight, even for a large group of armed foot soldiers, would usually be suicidal. To take on dozens of them—because Leopold had ensured that his army was as strong as possible by recruiting knights from most of the noble families in Austria—would be nothing short of madness. And it looked as if Leopold was right. Their overnight encampment had been only a short distance from the shores of Lake Ägeri, and within a few minutes the force had reached the water and passed along the shore, heading toward the Morgarten Pass, which lay a few hundred yards ahead. They neither saw nor heard the sound of any enemy soldiers. It was as if the entire area had been robbed of human presence, apart from the dull rolling thunder of the marching and steadily advancing army. In front of them, the path began to narrow, but that was to be expected because of the mountainous terrain, and the knights had to spread out into an elongated line, riding only three or four abreast. That was a slight cause for concern, because along the more restricted path the armored and mounted men would have little room to maneuver. Then the track they were following swung around a rocky outcropping, and almost in that instant everything changed. In the vanguard, Henry of Huenenburg pulled back on the reins of his warhorse as he stared straight ahead. Perhaps fifty or sixty yards in front of the advancing column, the path they would have to follow narrowed even more, a steep slope on one side and what was clearly a bog or marshy ground on the other. But what particularly concerned him was that the track was very obviously blocked, a roughly constructed pile of rocks and tree trunks spanning it from one side to the other. The blockade wasn’t particularly tall, and in all probability the foot soldiers would have little difficulty in clambering over it. But for the knights it was a different matter. Their armored warhorses were unable to jump anything of that size, or indeed to jump at all, so the obstacle would need to be dismantled before they could proceed. Henry reined his horse to a stop and scanned the slope above the path. He looked farther along the track as well but saw nothing to concern him beyond the blockage. No sign of a single enemy soldier. Henry swung his horse around and called out orders. Immediately the whole vanguard of knights came to a stop and then parted enough for some of the foot soldiers to move forward, heading toward the roughly constructed obstacle. And then, before the men could move a single log from the barricade, they all clearly heard a single shrill whistle from somewhere above them. And then it was as if the hillside suddenly came alive. their defiance at the army of intruders who were defiling their lands. Instinctively the mounted knights raised their shields, but no missiles—no swarm of arrows or thrown spears or even hurled rocks, the assault they had all clearly expected—materialized. Orders were shouted back to the leading ranks of foot soldiers, and some forty archers pushed forward to stand between the mounted knights and the precipitous slope. The commanders had realized immediately that bowmen—or more accurately their arrows—were the only weapons the army possessed that could easily reach the ragtag opposition. But before a single archer could loose his arrow, another whistle sounded from up the slope, and was followed just seconds later by an ominous crashing and rumbling sound that grew instantly louder. And then the elegant simplicity and lethal effectiveness of the ambush became only too clear. Jumping and tumbling down the steep slope, gathering speed with every second, piles of rocks and cut lengths of tree trunk began smashing through the undergrowth, heading directly toward the vanguard of the invading army. it quickly became mired in the soft and treacherous ground, the weight of the armor worn by both the knights and their horses causing them to begin sinking immediately. And then, with a rumbling roar that was almost deafening, the avalanche of wood and rocks smashed into the helpless warriors. The bouncing rocks, some of them half the size of a man, wreaked appalling carnage on the almost stationary leading ranks of soldiers, while the tree trunks carried away the legs of the warhorses, fatally wounding the animals and tumbling the knights to the ground, where the falling rocks finished off the job. Screams and howls of agony tore through the air as the pride of the Habsburg army was reduced to a disorganized rabble in a matter of just a few moments. The surviving officers and knights shouted orders and counterorders, but there was no mistaking the mood and intentions of the Habsburg foot soldiers. They had just seen the most powerful part of their formidable fighting force destroyed in seconds, without a single enemy soldier coming anywhere near them. With one mind, the frightened warriors turned around to retrace their steps. But the numbers were so great, and the path so narrow, that even this caused chaos, soldiers being forced into the bog to die a lingering death by drowning or worse, while others were trampled underfoot by their panicking companions. heading back toward the more open ground where they would be able to confront whatever other enemy forces had been assembled. But even as they did so, other ambushes that had been prepared by the outnumbered and ill-equipped confederate forces were triggered. Further avalanches of rocks and logs were triggered above the track now choked with a mass of panicking foot soldiers and retreating mounted knights, decimating the invading army. Before the echoes of the last falling rock had died away, there was renewed yelling from the hillside above the path, and just seconds later the confederate warriors ran down the slopes and fell upon their enemies. And many were carrying a new weapon, the halberd, a device that was cheap to manufacture and easy to use, and which inflicted terrible injuries on the Habsburg soldiers, both from the sharpened point at the end of the shaft and from the ax blade that could easily decapitate a man. And when the surviving knights finally reached open ground and turned to face this new enemy, they discovered to their cost that the halberd was equally effective against mounted soldiers. pikes, each tipped with a sharp iron point, a much longer weapon than the lance carried by a knight. A Midsummer Night's Scream by Stine, R. L.